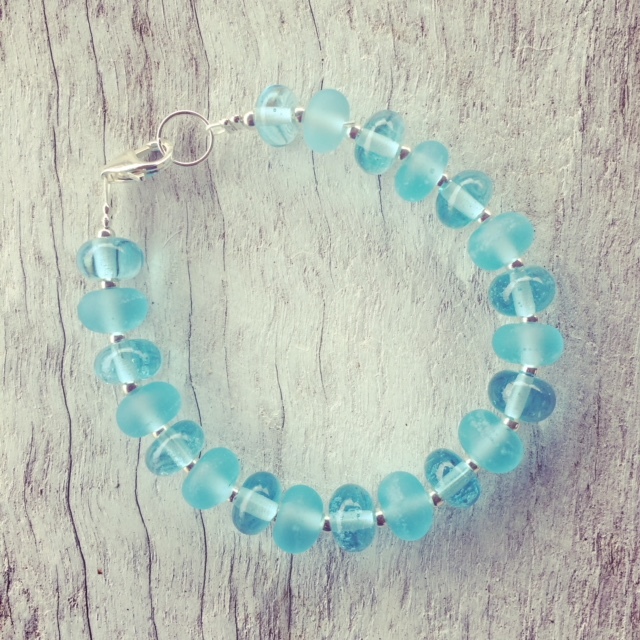 I have made a couple of Bombay Sapphire Gin bottle bracelets this week. 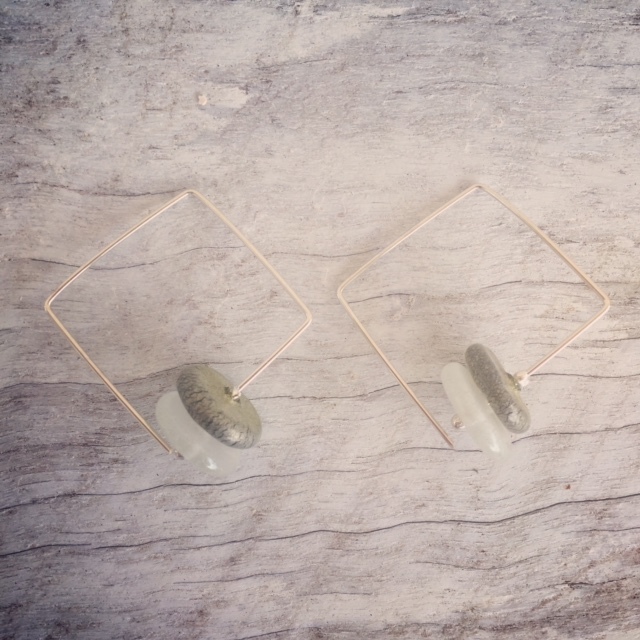 I really like how simple this bracelet is. It’s just a mix of etched and shiny beads. Really simple, but also very pretty. 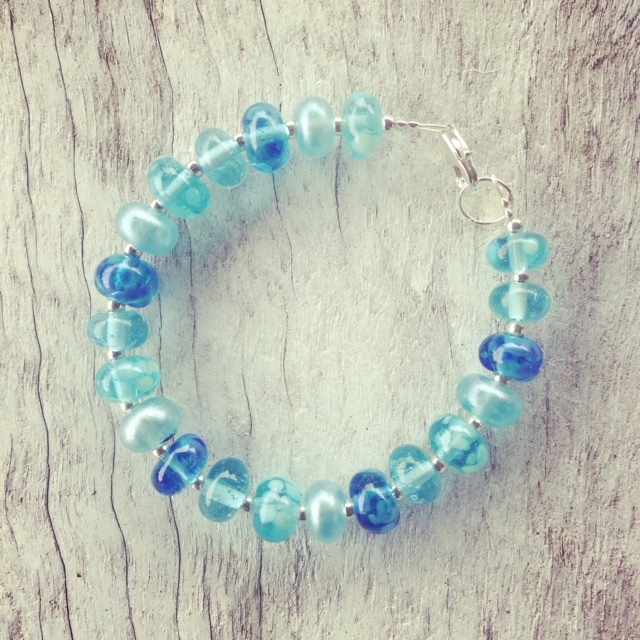 All of the beads in this sweet little bracelet were made from a Bombay Sapphire Gin bottle. 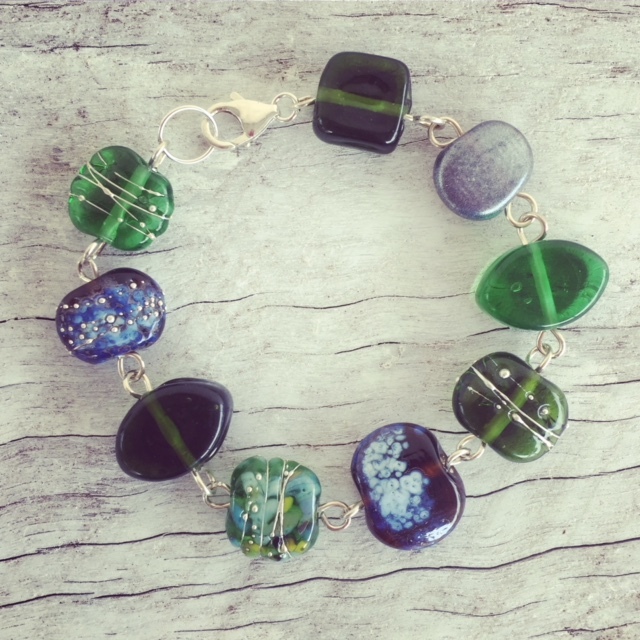 I have used a few different embellishments to get some variation in the colours, but kept it quite simple so that it can be worn as an everyday bracelet. 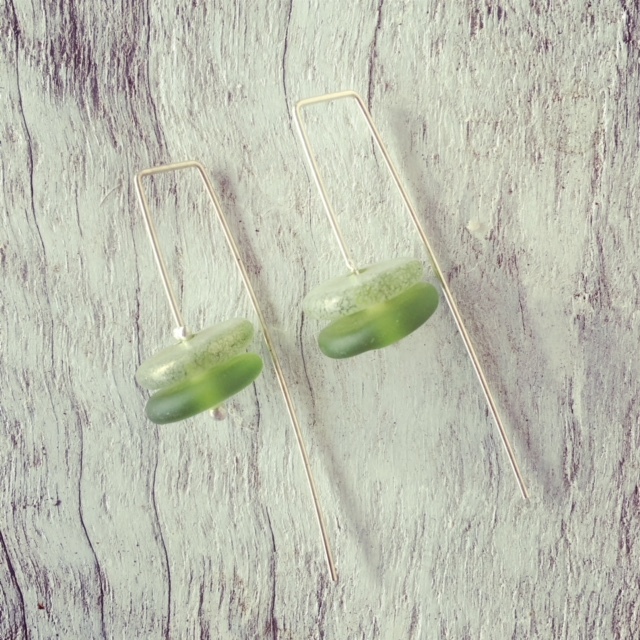 I often make square earrings. There is something really neat about getting the pliers out and making right angles with them! 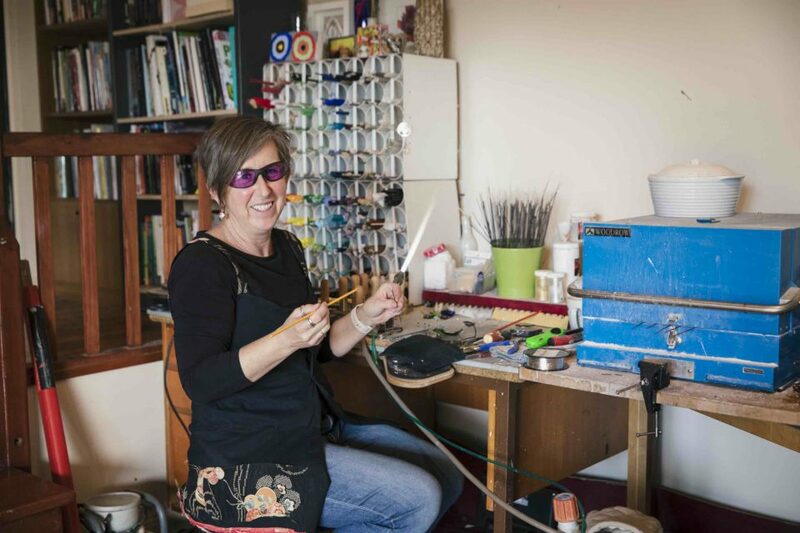 But it’s also nice to get the dowel out and make round earrings too. Like this pair. Beads made from Bethany Wine bottles. 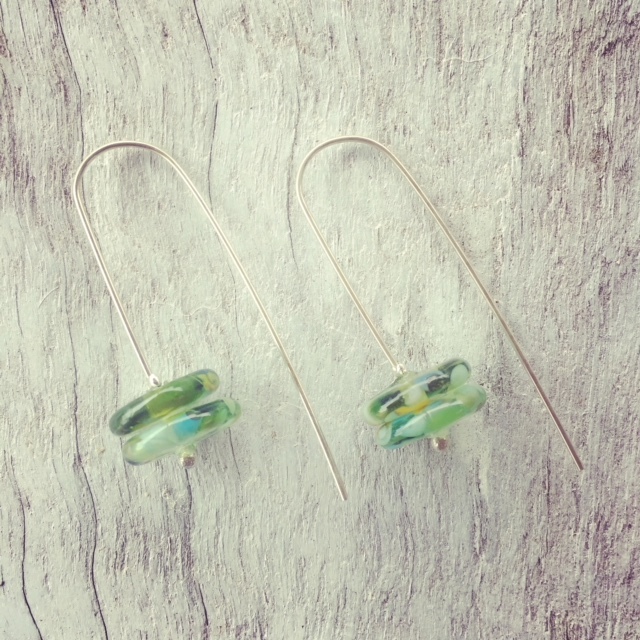 Square hoop earrings are always a lot of fun to wear, and this pair made from Bethany Wine bottles is extra special. They are decorated with silver and gold pixie dust, making them perfect for Christmas Day or New Years Eve! 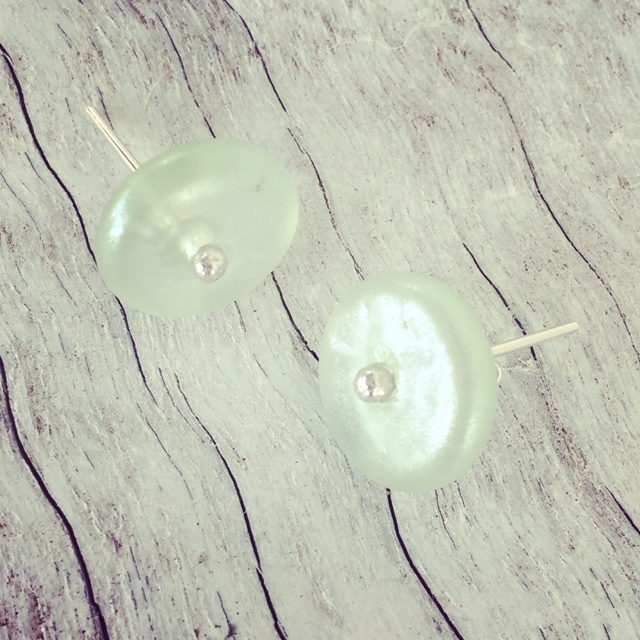 These pretty studs made from Green Depression glass were a bit tricky to photograph thanks to the super sparkly pixie dust that I used to decorate them. 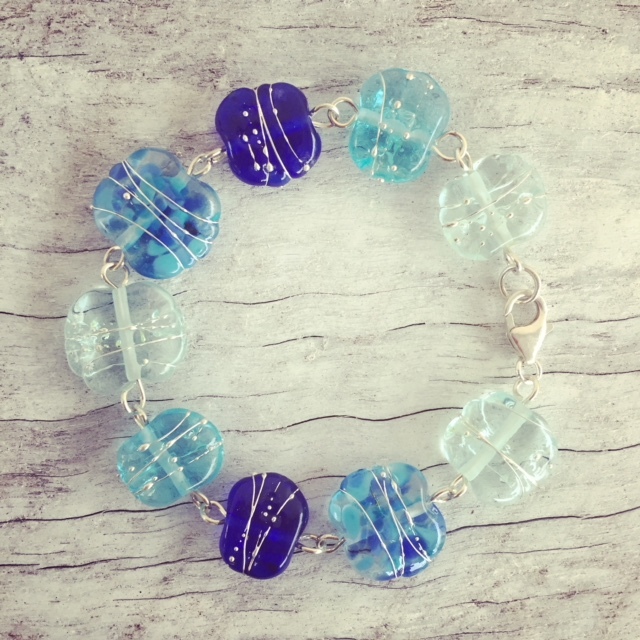 Wine, gin and vodka bottles all feature in this beautiful blue recycled glass bracelet. I like the mix of beads in this bracelet. 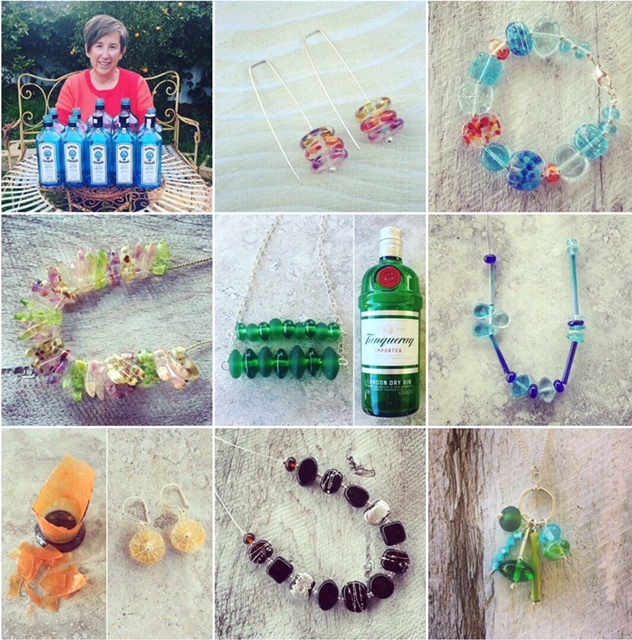 Featuring beads from Tanqueray and Hendricks gin bottles, plus a French Champagne bottle.